Buying a new home is exciting. Who would not want to have a new home anyway? But though you are dreaming of your new house, you should not be too excited and buy one immediately without thinking about it many times. Buying a new home is a serious financial decision. You might have to consider financial issues that might come along with buying a house compared to renting. Instead, you have to be careful enough when buying a new house, especially when it comes to home loans or mortgages. If you are still paying your auto loan, credit card and some other bills, you might have a high credit score too. But, you can never be sure if you don’t actually check your credit score. You can use an online credit check or get access to your credit score through your credit card account. Many credit card providers offer your credit score for free with membership. Bear in mind that there are numbers of factors that could affect your score, so it is a bit hard to predict the exact one. Also, identity theft is possible, and it could definitely affect your score without even knowing it. So, better get your credit score first before proceeding to a home loan. 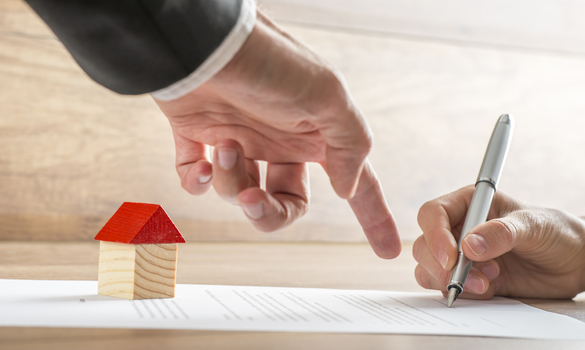 We all know the fact that the home loan process requires full of documents and is quite complicated too. And sometimes, there is a need for you to move quickly in order to get that low-interest rate. If you will go into the process, make sure to prepare all the documents so that you can have a lot easier time in fulfilling the needed requests. You should not go directly at buying homes without having a pre-approval. There is a need for you to know how much the bank would loan and how much the payments would be approximate. If not, you might end up purchasing a home that doesn’t suit both your standards and your budget as well. It would be uncommon for banks to approve a loan more than what you could afford. You should examine your lifestyle first and consider how the home mortgage payment could affect your lifestyle. There is a need to understand your personal maximum and start looking for homes at Albuquerque real estate which fall under the highest number. Of course, you should always be prepared with cash. You might need a down payment for the home purchase, and you must expect to spend at least 3.5% of the original price at a minimum. Depending on the current mortgage rate predictions, you should have extra cash just in case the rate locks in at a higher cost. Also, you need cash for a home appraisal, application fees, home inspection, and other closing expenses too. At the time of application for your loan approval, or even denial, lenders would use the information provided. Once you get approved, you should not change your employment or income status up until the loan process is complete. Why? Well, changing them during the process might significantly delay the process or worse might cause you to be denied as well. It is advised that you must come into the loan process with little debt as much as possible. Most lenders would evaluate the debt-to-income ratio once deciding whether to give you a loan or not. It is not recommended that your monthly debt payments are greater than a particular percentage of the monthly income. Lower debt-to-income ratio leads to a better rate! Besides, you must not add your debt once undergoing the loan process. Lenders might pull the credit again before closing, so you have to wait until you have closed the loan before making major purchases. There you have it! These are just some tips that might help you throughout an exciting and stressful process of applying for a home loan. Just prepare yourself with the help of these mortgage tips, and you should also be financially prepared to acquire your dream home! For comments or suggestions, just please leave them below! Hit like and share this article with your friends too. We will be happy to entertain your thoughts! Happy reading!